Olga Stevens was one of the many talented people Jim met through his participation in The Puppeteers of America. Olga and her husband Martin were founders of the organization and Olga served as Executive Secretary for many years. 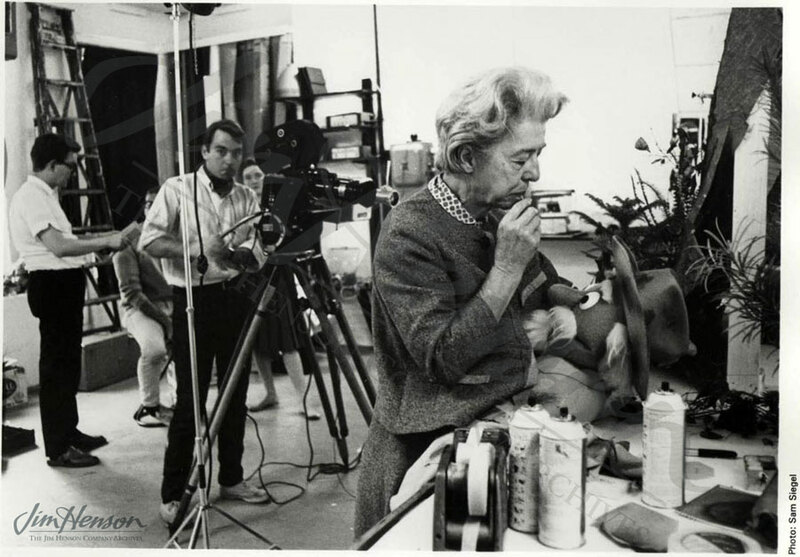 Best known for their marionette work, the Stevenses worked with Margo and Rufus Rose, helping to encourage the art of puppetry, and had their own puppet film studio. When Jim took on the job of creating puppets for Jon Stone and Tom Whedon’s Cinderella project, he brought in George Latshaw, a puppeteer from Ohio, to help with performing duties, and Olga Stevens came in to work with Don Sahlin on construction and costuming. Jim was also making a lot of commercials and variety show appearances that year, so the extra help from an experienced hand was most welcome. Olga Stevens getting the Southern Colonel ready for his close up, 1965. This entry was posted in 09-September '65, 1965, Hey Cinderella and tagged Don Sahlin, George Latshaw, Jon Stone, Olga Stevens, The Puppeteers of America, Tom Whedon. Bookmark the permalink.